There’s nothing quite like spring for making my gypsy heart ache for adventure. There’s something about the warmer weather and sunshine that makes me eager to go somewhere—anywhere-–and do something exciting. Unfortunately, between paying for school and paying for fertility treatments, there is no room in the budget for anything more adventurous than a walk at the park. As I was thinking about this, though, I realized that there are a lot of adventures from my long absence from the world of blogging that deserve to be shared. 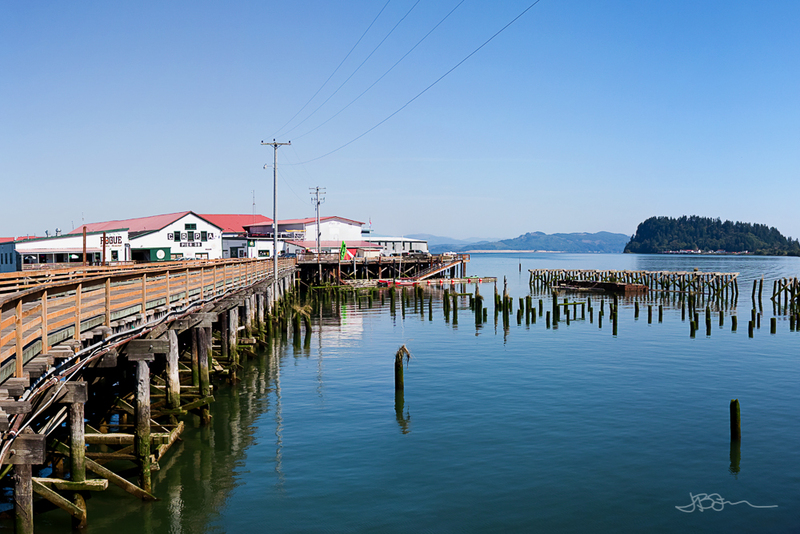 So begins a new series of posts that I’ll lovingly refer to as Flashback Field Trips, and I can’t think of a better place to kick things off than the lovely Astoria, OR. 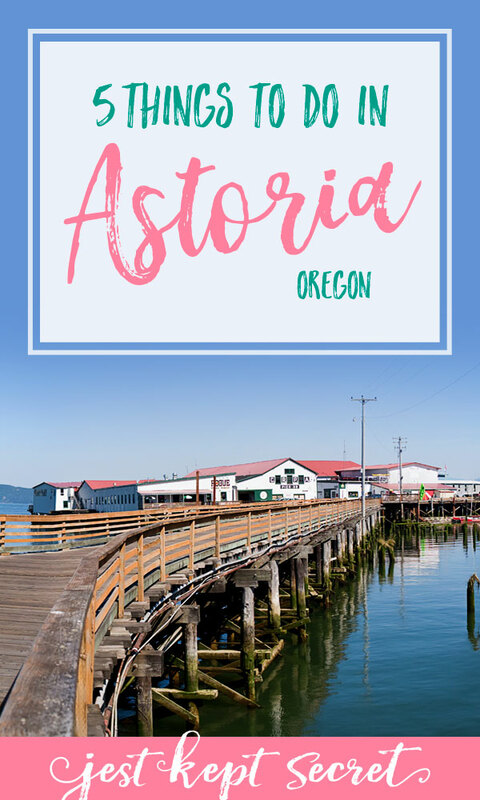 I visited Astoria as part of my sister’s graduation trip to the Oregon Coast, and we thoroughly enjoyed this vibrant little city at the mouth of the Columbia River. 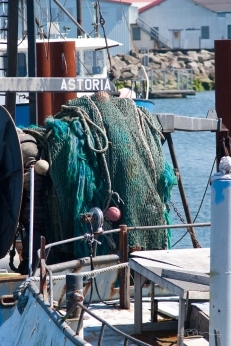 With a population of less than 10,000, Astoria has the feel of a small town but the amenities of something much bigger. 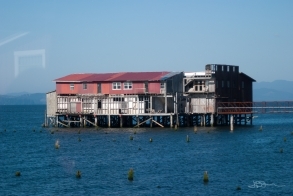 The area played an important role in early American expansion, maritime history, and even World War II. 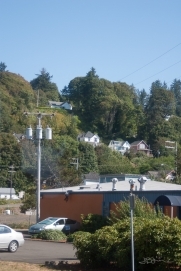 Astoria is also well-loved by the film industries, with movies including The Goonies, Free Willy 1 and 2, Kindergarten Cop, Teenage Mutant Ninja Turtles III, and Short Circuit all featuring scenes shot in the city. 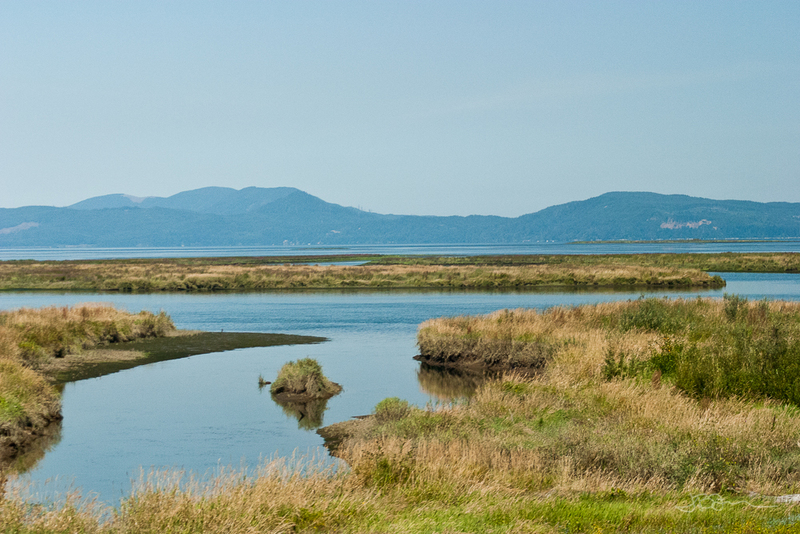 Thanks to its small footprint, quaint atmosphere, and historical significance, it’s easy to explore a lot of fun places in and around Astoria. Here’s how we spent our day in the city. I inherited my great love of aimless exploration from my mother, and my sister must have, too, because the three of us were quite content to wander along the pier and beside the marina. 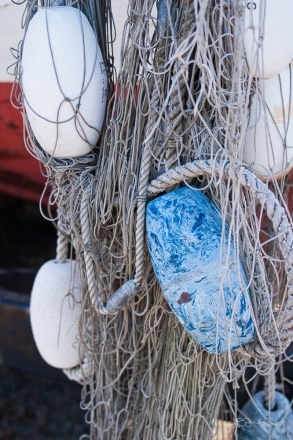 We loved spotting all the fun little details on the boats, like the colorful fishing nets and floats, funny boat names, and the shark boat. 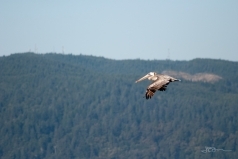 The marina and pier are also a great place to look for birds, and we saw a lot of sea gulls and cormorants. 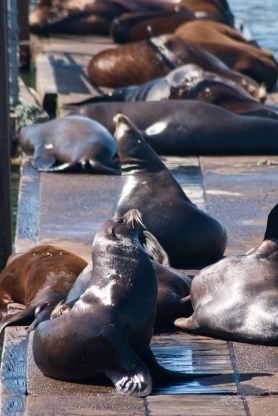 My favorite part of our little stroll was definitely the California Sea Lions. 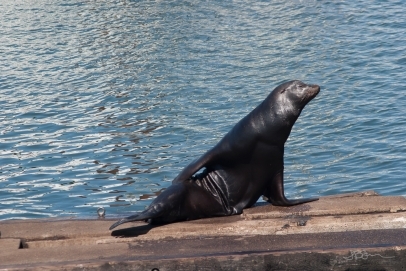 There were hundreds of them swimming in the water, lounging on the docks, and generally just stinking up the place. I’m not exaggerating, either. They are stiiiiinky creatures—and loud. 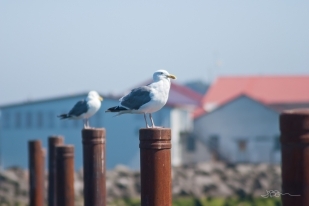 They were constantly arguing with one another and pushing each other off the docks. It was massively entertaining. 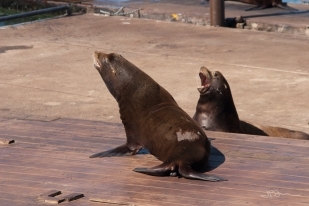 We learned later that the sea lions are at the heart of an unusual controversy. 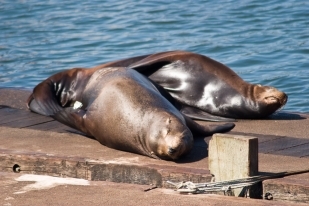 After enjoying federal protection for many years, sea lion population has reached a point where they threaten another more critically endangered species, Columbia River salmon. 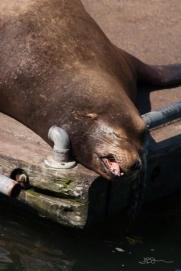 Dams on the Columbia River already make it hard for the salmon to complete their natural migration back to the sea, and now the sea lions have learned how to block their path through the fish ladder at Bonneville Dam. They certainly present an interesting case study for the unintended consequences sometimes caused by even our best human intentions. 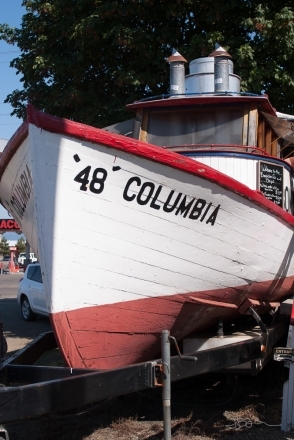 We ate lunch at the Bowpicker, a fish and chips shop run out of an old fishing boat. I wrote this in my journal about the experience: “It was the best fish and chips I have ever had. It was tuna, not cod or perch, and it was OH MY GOSH MARRY ME NOW delicious.” If that doesn’t convince you to eat here, I don’t know what will. 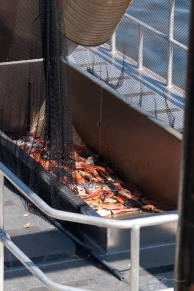 It was seriously good, and who can pass up the opportunity to eat fish out of a fishing boat? Not me. 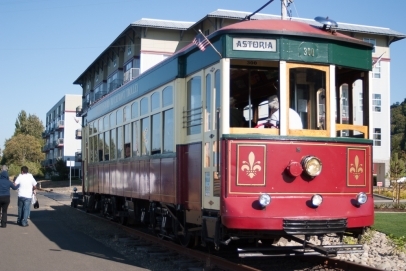 The Astoria Riverfront Trolley is a great way to see Astoria and learn about its history. 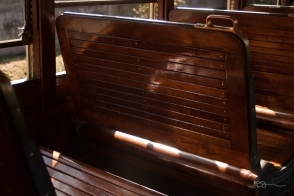 The trolley runs along the riverfront (go figure) and you can get on and off at any stop along the way. The driver (conductor?) 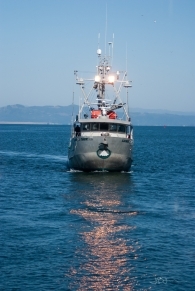 is a wealth of information, and we learned about maritime history, fish canning, log jams on the Columbia River, and filming locations. We saw the Goonies house and an old fish cannery that stars in one of the Free Willy movies. 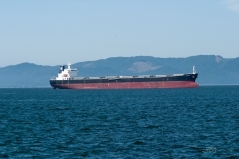 It was well worth the price of admission, and it’s a definite “must do” for your trip to Astoria. 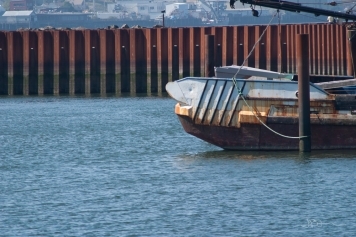 Our last stop of the day was Hammond Mooring Basin. We enjoyed watching the pelicans and cormorants diving for fish, but the highlight was definitely seeing the Free Willy sea walls. [Spoiler alert!] You know the end of the movie, when they have Willy trapped in the marina and Jesse gives him a pep talk and Willy jumps higher than he’s ever jumped before and everybody cries? Those are the sea walls I’m talking about. I got all teary all over again just thinking about Willy jumping to freedom. 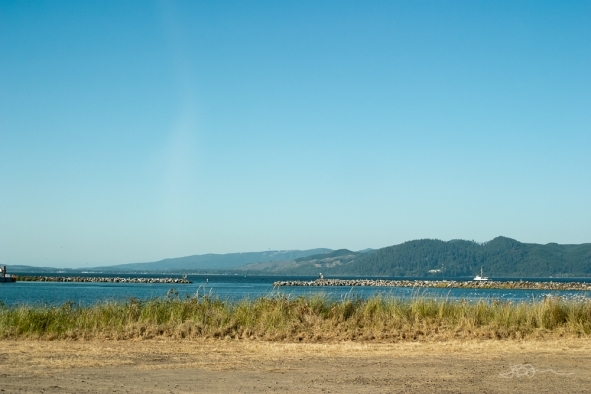 We also went to Fort Stevens and Fort Clatsop, which are both within 20 minutes of Astoria but each deserve a post of their own. Watch for those in the next Flashback Field Trips! 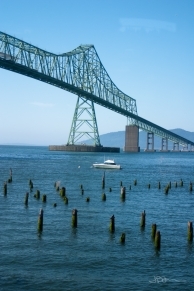 Have You Been to Astoria? I’d love to hear about your favorite things to do in this sweet little city. Share your adventures in the comments below or on Facebook. 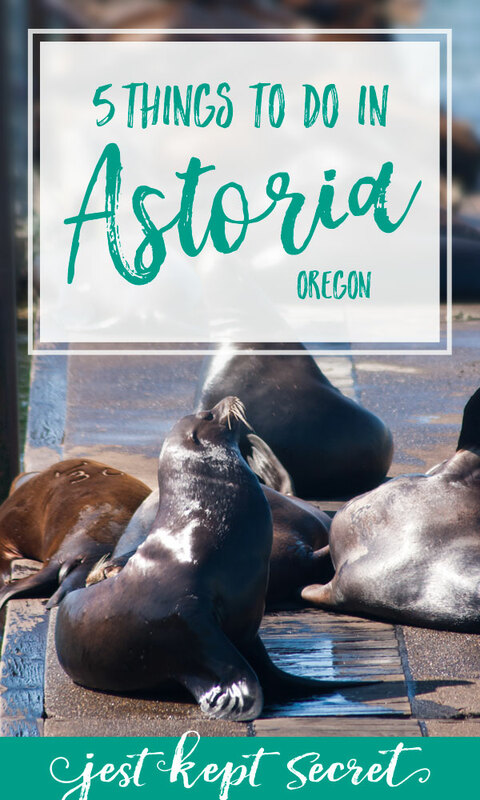 And if you haven’t been to Astoria, be sure to save this to your travel boards on Pinterest so you don’t miss out! To be fair, this was before I lived in England. Yes, I know the movie came out in 1993. But I’m of the opinion that there is not statute of limitations for spoilers and I will always and forever provide spoiler alerts.